and even has its own jungle! The cave, which contains a river and jungle (and apparently even clouds), is located in the Annamite Mountains in Phong Nha-Ke Bang National Park, Bo Trach District, Quang Binh Province, Vietnam. 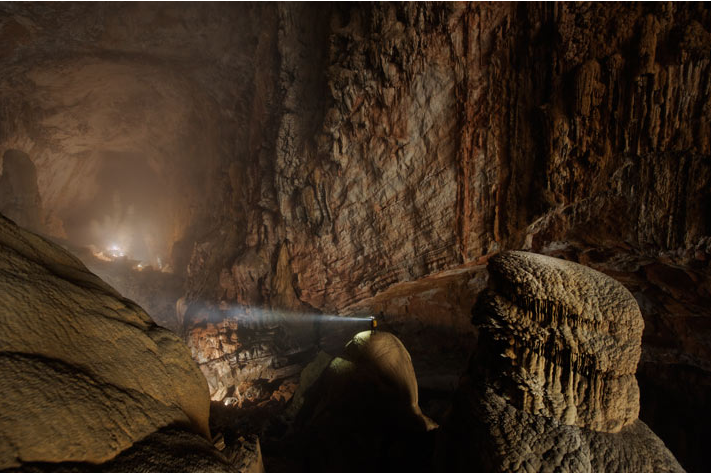 It’s part of a network of about 150 caves in central Vietnam near the Laotian border. 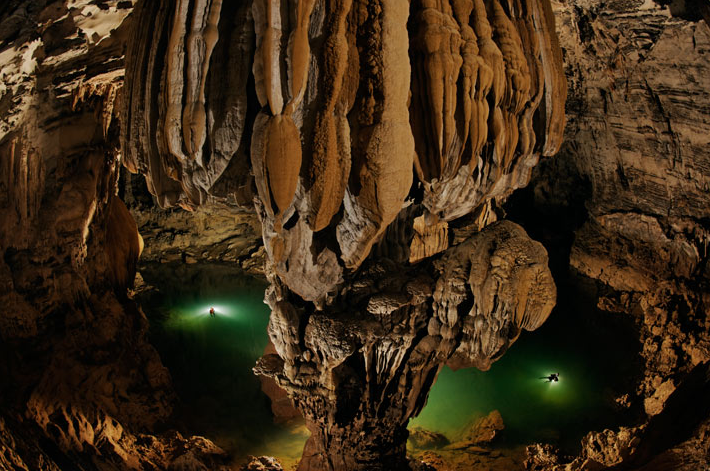 The cave was originally discovered by a local man named Hồ-Khanh in 1991. The local jungle men were afraid of the cave for the whistling sound it makes from the underground river. However, not until 2009 was it made known to the public when a group of British scientists from the British Cave Research Association, led by Howard Limbert, conducted a survey in Phong Nha-Ke Bang from April 10-14, 2009. 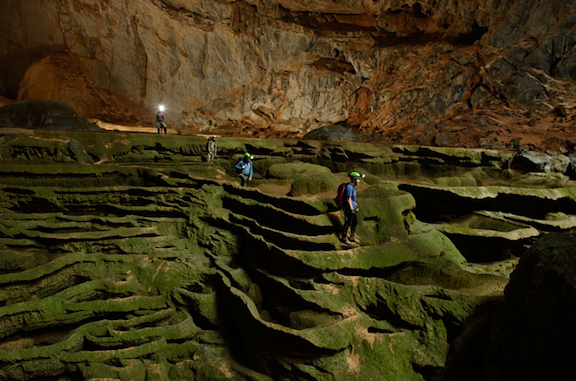 According to Limbert, this cave is five times larger than the Phong Nha cave, previously considered the biggest cave in Vietnam. The biggest chamber of Son Doong is over five kilometers in length, 200 meters high and 150 meters wide. 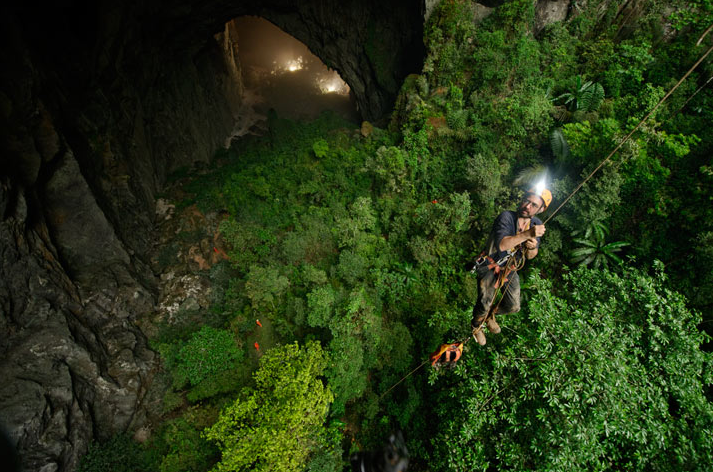 With these dimensions, Son Doong overtakes Deer Cave in Malaysia to take the title of the world’s largest cave. 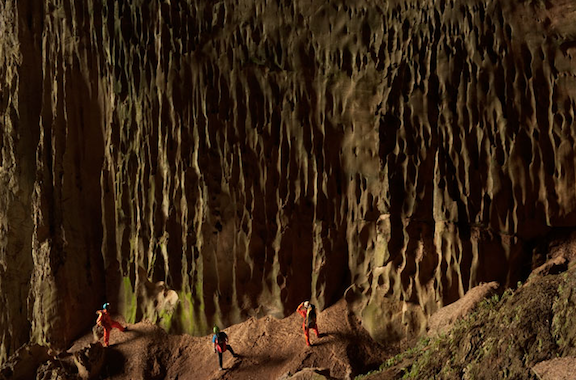 Amazingly enough, the cave is only now being properly surveyed. doong? is that a typo..how do you pronounce that? i hope they can preserve it and not destroy it (the cave) just for money.. and that people will respect what a beautiful place it is. wow….love the first pic..look amazing…though i know it might happen..but hope it doesn’t turn into another tourist attraction…cause i dislike how they put artificial lightings and stuff inside …it just destroy the natural look. It’s not a typo. That’s how they spell it on Wiki as well. I don’t know how to pronounce it, but with accent marks, it’s Đoòng. It means “mountain” I believe. According to Wiki, the cave’s full name is Hang Sơn Đoòng which means Mountain River Cave. Obviously, Hang means cave. I looked up Sơn and it means lake/river, which leaves Đoòng meaning mountain. But when I asked my dad, he said Sơn means mountain (ie. Mau Son mountain). He said Đoòng is pronounced as Dong < the way Americans would say it with a down tone because it has two o's. This is so cool! I love caves! No, it should never be open to the public. That would be a bad idea! But I do wish I had access to it and explore!!! So beautiful. I wouldn’t like for this to turn into a cheesy tourist site with gaudy lights either. However I do wish for them to OPEN it during certain months. why? because poor local villagers’ lives will be GREATLY improved if more people come and buy their stuffs…you gotta think about people too.